Dr. Rajiva Tirtha has been a member of the Durand community for nearly 30 years. He graduated from Greenhill High School with honors in 1976. From there, he went to be an undergraduate in chemical engineering at the University of Michigan. He completed his schooling when he graduated from the University Of Michigan School Of Dentistry in 1983. While attending school, Dr. Tirtha had two of his research papers published in The International Journal of Dental Research. He was also published in The Journal of The American Dental Association and presented research for student research at the American Dental Association Convention. 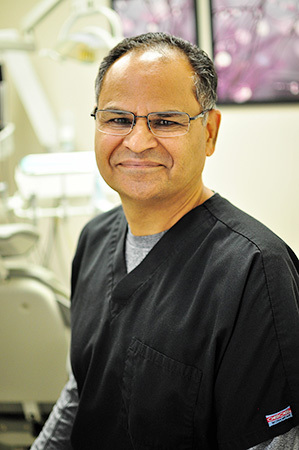 Dr. Tirtha started his own private practice in 1985 called the Burton Dental Center in Burton, MI. In 1986 he purchased the Durand office. 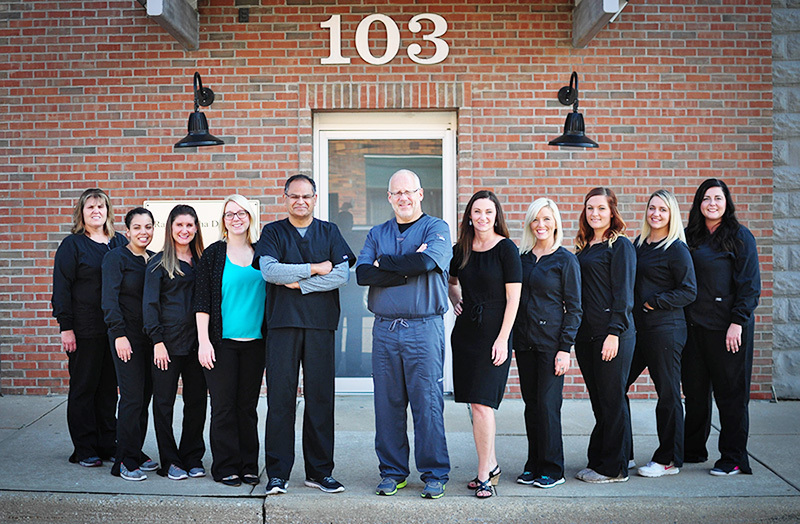 Dr. Tirtha operated both offices until 2008 when he sold the Burton Dental Center. Dr. Tirtha has been a member of many organizations. He has been a member of the Durand Rotary Club and the Durand Chamber of Commerce. He was the President of The Rotary Club in 1993 and 1994 as well as the president of The Chamber of Commerce in 1995 And 1996. He is a member of the American Dental Association, Michigan Dental Association, and American Orthodontic Society. He also served as Secretary of the Lake Shannon Sportsman's Club In 2004. When Dr. Tirtha is not working at the practice, he volunteers at VINA Community Dental Center in Livingston County. VINA is a dental clinic for lower income families that have no access to dental insurance or any professional dental care. Dr. Tirtha is also an adjunct clinical lecturer for the University of Michigan School Of Dentistry. In his free time, Dr. Tirtha likes to spend time with his family and friends. He has been married to his wife Anna for 22 Years. They have two children together, Priya and Alec. Dr. Randall D. Lewis is a lifelong Michigan resident. He graduated from Farmington High School, and then proceeded on to the University of Detroit where he received his Bachelors in science and biology in 1984. Dr. Lewis then attended the school of dentistry at the University of Michigan. He obtained his doctorate degree in 1988. Shortly after graduating, he joined the practice with Dr. Tirtha. Dr. Lewis has thoroughly enjoyed practicing with Dr. Tirtha through the years. He especially loves the variety that general dentistry provides him in the practice daily. It gives him the opportunity to treat most every patient and their individual needs without having to consider referrals. He enjoys improving patient’s oral health and witnessing the positive effects on their oral health and well-being. Away from the office he is involved in many activities that keep him on the go. He coaches and trains Crossfit and Olympic Weight Lifting year-round. He is also an ice hockey official from September to March and plays golf in the summer months. Dr. Lewis married his wife Jodi in 2015. Their combined family consists of nine children and four grandchildren that they are very proud of. 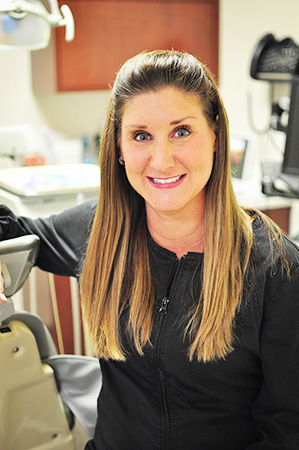 Lindley has been a dental assistant since she graduated from Lapeer West High school in 2006. 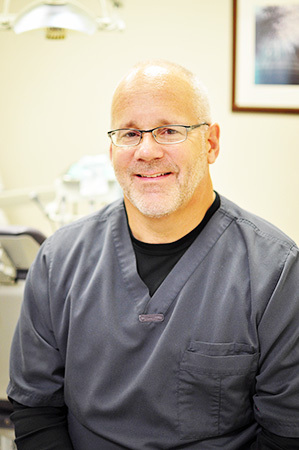 Lindley has experience in both general dentistry as well as orthodontic dentistry and is CPR certified. She joined our team in 2012. Lindley resides in Durand with her boyfriend and their daughter. She enjoys traveling and spending time with her family and friends when she is away from work. Shea is one of our dental assistants. 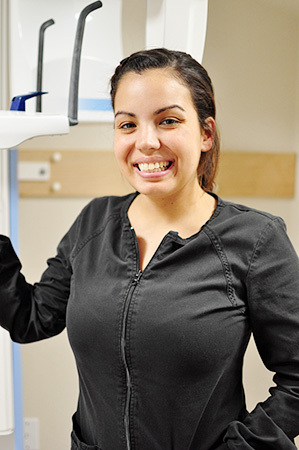 She graduated from Ross Medical Center in 2014 through their dental assisting program. She joined our team as an extern while finishing her program and was hired in permanently immediately following. Shea continues her education yearly through CE credits and is CPR certified as well. Shea resides in Burton with her husband, who she married in 2011, and their two daughters. In her free, time she enjoys spending time with her family and playing recreational volleyball. Danielle has been part of our team since 2012. She started as a hygiene assistant and moved onto an assistant position in 2014. 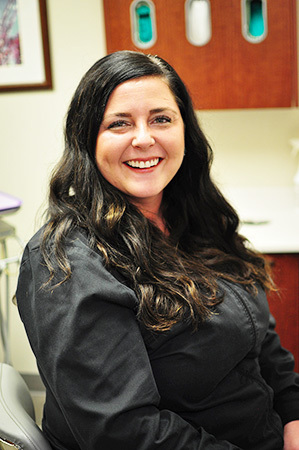 Danielle earned her Dental Assistant Certification in 2015 through the Dental Assisting National Board along with her Radiology Certification in 2015. She is also CPR certified. Danielle resides in Durand with her two daughters and their father. She enjoys attending Detroit Lions games and spending time with her family and friends. 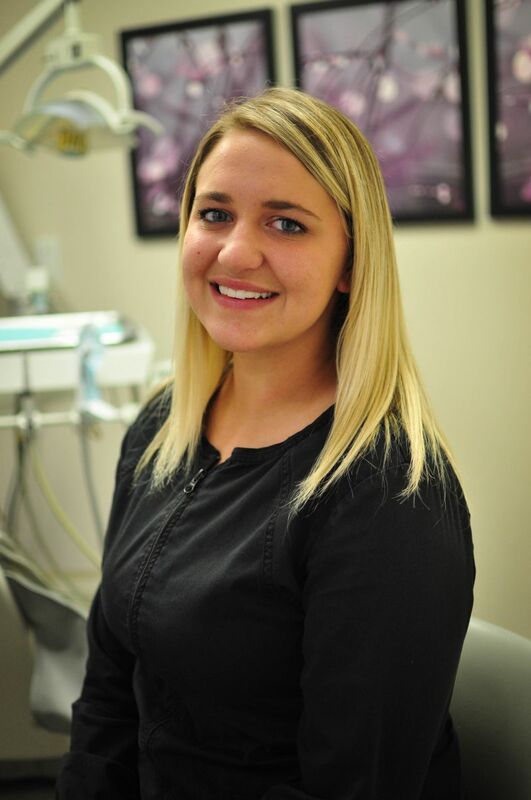 Molly has been a member of our dental care team since 2008 as a dental hygienist. She graduated from Ferris State University in 2005. She is a Pi Delta Alpha Dental Sorority Alumnus. Molly is certified in CPR, local anesthesia, and nitrous oxide sedation. She takes several continuing education classes a year to learn the latest and greatest in dental treatment. This allows her to expand her skills and implement new techniques to provide the best dental care to her patients. 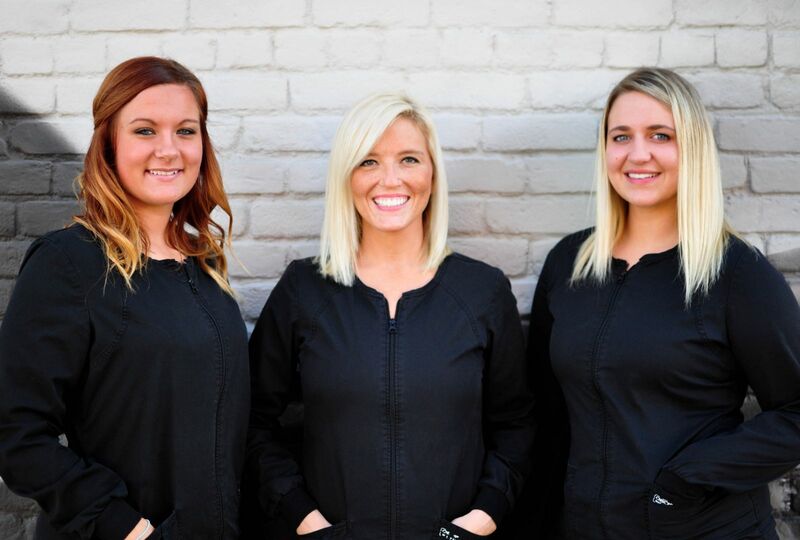 Molly strives to develop lasting relationships by making your dental experience comfortable and personable. Molly is a proud member of the Durand community. She enjoys spending time with her husband, their dog Aiden and their first baby boy, Barrett, is due January 2017. In her spare time she enjoys exercising and traveling with family and friends. 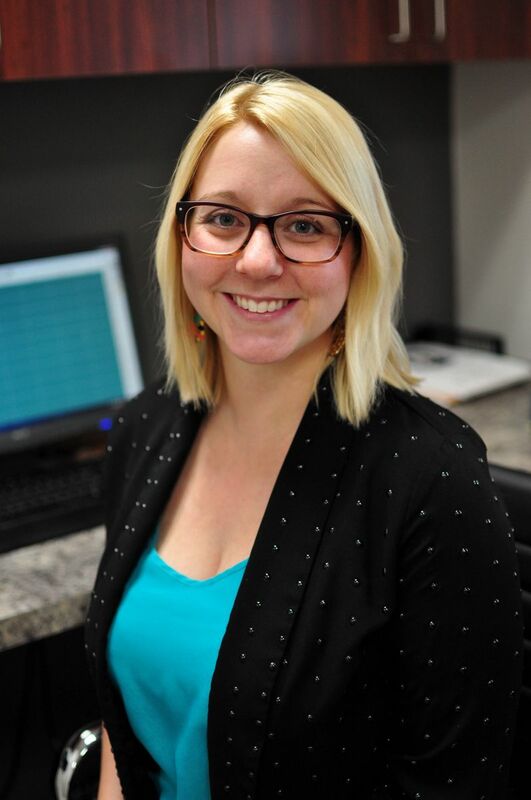 Heather is a Registered Dental Hygienist and has been with our office since 2012. She graduated from Delta College in 2010 with an associate’s degree in applied science. She is certified in local anesthesia, nitrous oxide sedation and CPR. She also completes 12 hours of continuing education credits yearly to further her education. Heather resides in Burton with dog, Hecktor. She enjoys spending her free time with her nephew and other family and close friends. Bobbi maintains the function of our front desk. 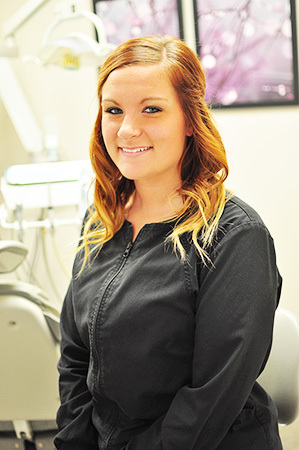 She has been in the dental field since 2007, starting as a co-op student her senior year at Owosso High School. 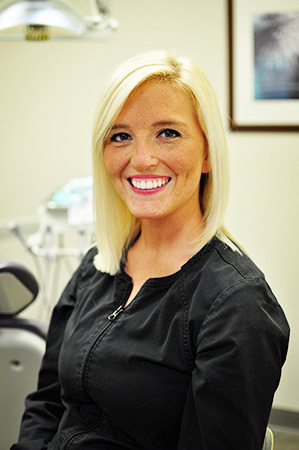 Her experience includes assisting in general dentistry as well as orthodontics. She has certifications in dental radiology and CPR. She has been part of our staff since 2013. Bobbi resides in Owosso with her husband who she has been married to since 2012, their two daughters, and two golden retrievers. She spends most of her free time with her family and doing activities with her children. She really enjoys spending time at their family’s cabins in northern Michigan and doing home improvement projects.